For several years now, New Year’s Eve celebration in Florence can be spent outside in one of the many beautiful piazzas of the center enjoying the many great free concerts in the historical center of the city. The events start on December 31, in late evening, in 6 different squares, five in the city of Florence and one in the nearby center of Scandicci, within the new Rogers Mall. The big concert in Piazza Stazione this year is entrusted to the Italian pop singer Max Pezzali, which will be preceded on stage by other young artists and bands (PLASTIC MAN, GO! ZILLA and Martinicca Boison). The event starts around 9pm. The beautiful Piazza della Repubblica will be animated by jazz and swing music with the Italian musician Gege Telesforo. From 11pm to about 2am. The enchanting Piazza Santissima Annunziata will host a gospel concert by The Anthony Morgan’s Inspirational Choir of Harlem, starting from 11pm. 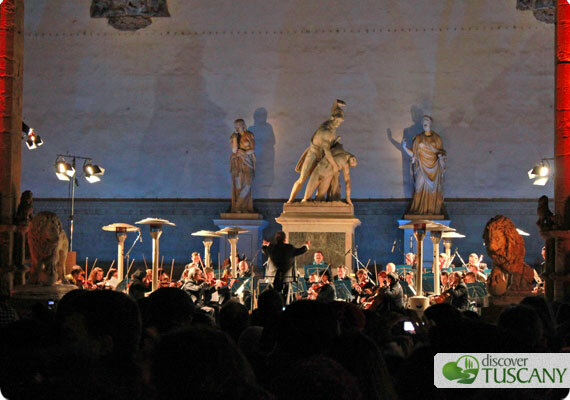 A classical music concert will be performed in the suggestive Piazza Signoria, where the stage is set up just in front of the stunning Loggia dei Lanzi. The Symphonic Orchestra of Lugansk, conducted by the director Lanzetta, will start playing at 11pm. Largo Annigoni, a big square located behind the Sant’Ambrogio market (close to Piazza Santa Croce) hosts dance music and DJ sets, which definitely will be appreciated by the younger crowd who wants to dance. Here, the music will start at 10pm and lasts until 4am. Just a few weeks ago, the Mall Rogers (Centro Rogers) opened in Scandicci and this location will host one of the events for New Year’s Day 2014. The music starts around 9:30pm with a concert by a young Florentine band. Following them, the “Circus Swing Orchestra” will play and around midnight there will be Ginevra de Marco and the Orchestra di Piazza Vittorio in concert. The celebrations of the New Year will be end with DJ sets. On December 31st, the Florence’s city bus service, run by ATAF, will end at 8pm, but there will be some special shuttles to the locations of the concerts (from 9pm to 3am). The nearby city of Scandicci can be reached by tram (with a stop at the Stazione Leopolda), which will remain active all night. 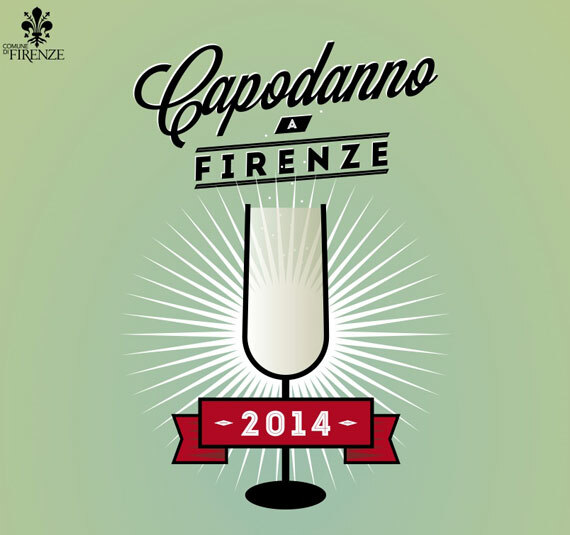 Start 2014 in Florence with good (and free) music… we hope you have a Happy New Year!